Today's VetGirl podcast reviews how to treat the poisoned patient - starting with the appropriate emetic to use. So, if your client calls you at 9pm on a Sunday evening, What do you do? Should you advise giving table salt or hydrogen peroxide? Is apomorphine better? What about salt or ipecac? What about cats? Is it ok to even induce emesis at home for feline owners? 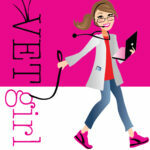 This VetGirl podcast is a must for any clinician treating the poisoned veterinary patient. 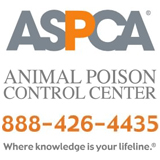 Thanks to ASPCA Animal Poison Control Center for sponsoring this VetGirl podcast! Good info. Re-affirms my own thoughts on H2O2 and effectiveness for in home use. My own dog has gone “under the bottle” 6x in 2013 for inappropriate consumptions. We can empathize. I had to run across the street to Walgreens and frantically calculate mg/kgs. Bad dog!